First look at the game in action. 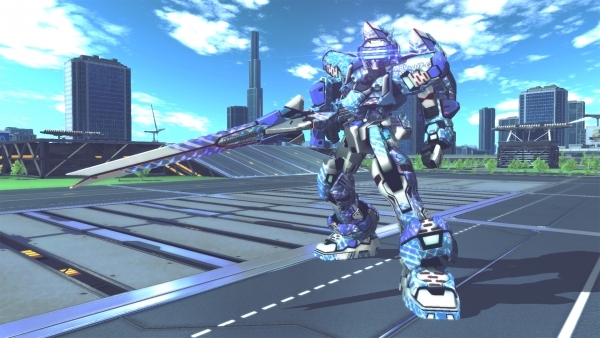 A Certain Magical Virtual-On will launch for PlayStation 4 and PS Vita in Japan on February 15, Sega announced at the 2017 PlayStation Press Conference in Japan. It will cost 7,900 yen on PlayStation 4 and 6,900 yen on PS Vita. “Chronicle 20” booklet – A 500-plus page booklet on the 20-year history of the Virtual-On series, including information on goods related to previous works, numerous visuals, developer commentary, and more. “Cyber Troopers Virtual-On Official Sound Data 18” official soundtrack CD – An official soundtrack CD made up of numerous gems composed by Yuzo Koshiro. “A Certain Magical Virtual-On no Subete” booklet – A 100-page booklet loaded with classified information about A Certain Magical Index, as well as a newly written short story by Kazuma Kamachi. “Toaru Majutsu no Den’on Mokuroku” soundtrack CD – A CD featuring a radio drama with the staff of the legendary radio programs Toaru Radio no Index and Toaru Radio no Railgun, as well as the full version of the game’s theme song, “Get Ready!,” sung by Index and Mikoto. Pre-orders will include the “A Certain Magical How to Play” booklet, which explains the Cyber Troopers Virtual-On and A Certain Magical Index series, and promises to make gameplay a more comfortable experience for everyone, from beginners to the experienced core.